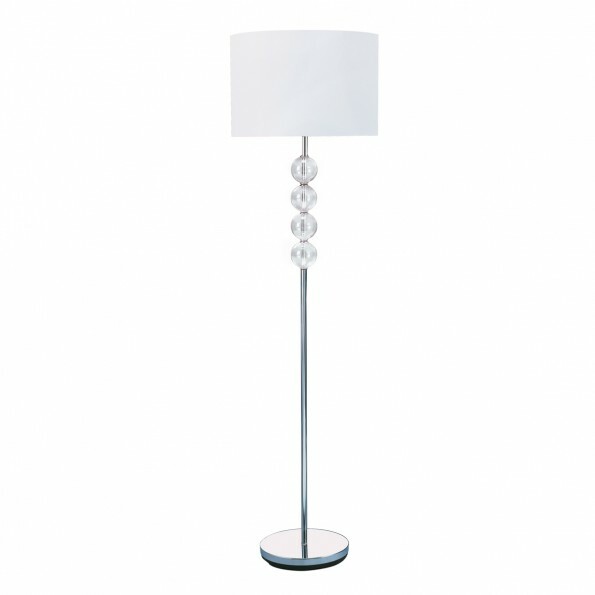 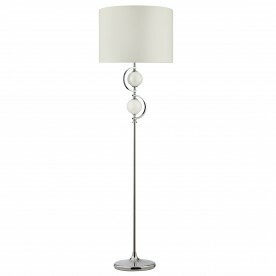 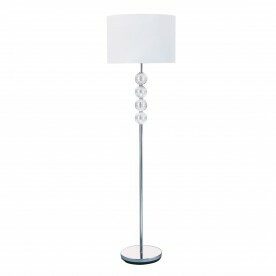 Chrome Floor Lamp With Glass Balls & White Fabric Shade - Provide style and elegance to your living room, bedroom or conservatory with this chrome floor lamp. 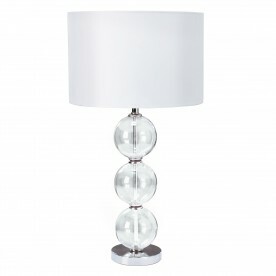 The chrome body of the floor lamp is decorated with 4 glass balls and a large white linen shade surrounds the bulb and gently diffuses the light. 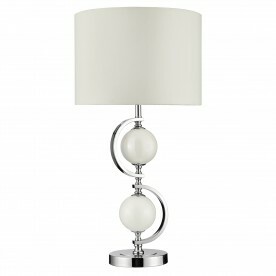 The contemporary appearance will act as a finishing touch to the room of your choice.